How to Start a Blog That Makes Passive Income - CreatingBeautifully.com - start and grow an online business you love! How to Start a Blog That Makes Passive Income - CreatingBeautifully.com - start and grow an online business you love! I was thinking about it the other day, and I’ve actually been blogging since before “blogging” was even a term (back then I just called it an “online magazine.”) And I absolutely LOVE it! It’s a way for anyone with a computer, Internet access, a tiny start-up fund, a passion and a goal to make money. 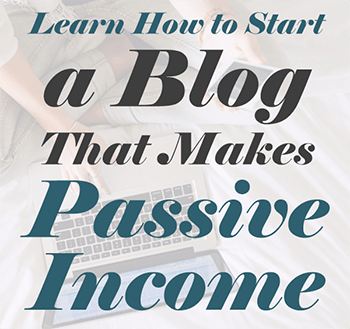 So in this post, I want to teach you how to start a blog that makes passive income! A couple of IMPORTANT notes before we get started: You may want to bookmark this post to refer back to because there are several steps here! Or you can save it on Pinterest here. Also, every link on this page opens in a new tab, so you won’t have to worry about losing your spot. And finally, this post contains affiliate links, and you can learn more about that here. Now let’s get to it! First of all, I want to talk to you about passive income: what it is and what it is not. I’m going to break down each one, but if you’re already familiar with these, you can skip to the next section. Affiliate marketing is personally my favorite form of passive income, especially when you’re just starting out! Because to sell ad space on your blog you need traffic, and creating ebooks and/or courses can take a long time. But with affiliate marketing, you can get started right away! So what is affiliate marketing? Well, many companies on the internet have what is called an “affiliate” program where they give bloggers an incentive to share their products. For instance, the place where probably everyone reading this has shopped at least once, Amazon.com (if not, you can try Amazon Prime with this 30-Day Free Trial !) These incentives include either a fixed percentage (typically between 3%-8% with Amazon) of sales made through your affiliate link(s), or a “bounty” which is a fixed dollar amount for things like when you refer someone who signs up for a free trial of Prime you get a few dollars. 😉 Now, 3-8% may not sound like a lot, and it really isn’t. But say you recommend a good book, and a person on your blog clicks through that link and buys the book, plus some toys for their kids, and a mirror for their bathroom. In that case, you earn a commission on the entire purchase, not just the book you recommended! So it tends to really add up on Amazon. These are just a few examples in each category, and there are many, many more. So no matter what you ultimately decide to blog about, there will be options for affiliate programs for you and your blog! One really important thing to note: Did you notice that I mentioned that there are affiliate links in the beginning of this blog post? Well that’s because it’s an FTC rule (that you can read all about here). You will also need to do that with any blog post that has affiliate links. You also must disclose affiliate links in social media posts, as well. Because of the nature of social media posts, they can be shorter, like including #affiliate – but it must be before the link you share when possible. I don’t say this to scare you! 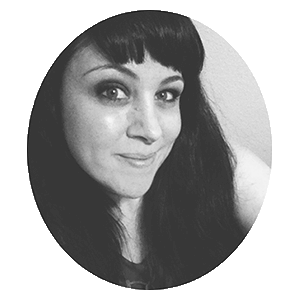 I just want you to blog legally (as I’m sure you do!) so I wanted to be sure you knew about that rule. Ad networks like AdThrive, MediaVine and BlogHer Ads will place ads on your website and give you a portion of the revenue and/or a flat fee based on clicks that occur through those ads. So you might be thinking, great! I’ll just join those and I won’t have to worry about affiliate marketing! So while ads can be a great part of your passive income plan later on, for now you’re probably better off sticking with affiliate marketing – especially when you’re first starting out. Creating and selling ebooks or online courses is a fantastic way to earn online income! The problem is, in the beginning, at least, you may not know what you want to create a course about. If you do? Awesome! I recommend using Thinkific as your platform for courses, and SendOwl (which also pays recurring affiliate commissions!) is great for eBooks. For now, let’s get to the good stuff! Food blogs can be as expansive or as niche as you can imagine: there is one blog exclusively talking about Amish Friendship Bread! Wedding niches include topics like destination weddings, DIY weddings, wedding dresses, wedding decor, and more. DIY blogs are so much fun and could include ideas like, Home DIYs, DIYs for kids, modern DIYs, and more. I could go on and on, because these ideas are really just the tip of the iceberg! Pretty much any subject you can imagine, there’s a blog about it. But don’t let that deter you! In fact, it should excite you! Because if someone is already successfully blogging about a subject you want to blog about, you know there is already interest in it and it’s time to bring your voice to the table. There are a couple of schools of thought on choosing a topic for your blog. The first is to choose something you’re passionate about. Because blogging does become a business — therefore something you’ll be spending 20-40 hours a week doing — so blogging about something you’re passionate about makes sense! You might as well do something you enjoy every day, right? Well, some people say no. That you should start a blog based on its ability to make money. Because your passions may not pay the bills. I kind of agree/disagree with both. While finding a topic you love is important (at least to me — I believe in doing what you love for a living!) you also need to make money with it. Unless you don’t need it to make money and just want to do it as a hobby… That’s fine, too! But I’m guessing since you’ve read this far, you want to make money with your blog. So finding a topic you love and can make money blogging about are equally important, if you ask me. The cool thing is, there is an affiliate program for just about every niche you can imagine, so your chances of choosing something to blog about that you can make profitable are pretty good! But I’m going to tell you now: it will probably take some time before you make any money. Some blogs make $0-100 their first few months in business… but don’t give up, because those same blogs have gone on to make hundreds, thousands, and even hundreds of thousands of dollars each month, in time! For example, say your domain was something like BringingUpDaisies.com. Well, BringingUpDaisies is too long for sites like Twitter (who only allow 15 characters) so you’d have to shorten it. Pinterest and Instagram allow up to 30 letters/characters, and Facebook allows 75 characters for a Page name. So you might want to shorten it to something like BUpDaisies for social media, across all accounts to make it cohesive and easy to share. But say you’re lucky enough to get a short domain name, like pinky.com (that was the first random word that came to my mind! haha!) Next you’ll want to check to see if @pinky is available on social media. If not, in that case, you may need to actually lengthen it. Maybe something like @therealpinky, @pinkyinc, etc. But before you buy your domain name, just be sure to check the social media handle availability and come up with a plan for what you’ll do in case your name is taken. I suggest having several domain ideas (either on paper or in a document on your phone or computer) and then start your search to see if they’re available. In fact, you can check right here. Again, ideally, you’ll want a domain ending in dot com (because it’s the most common and easiest to remember). But if you’re heart is set on a certain name, and it’s only available with a different extension, that’s not the end of the world. If you’ve never created a website before, this part can seem a bit intimidating, but trust me: it’s simply a learning curve. I used to suggest getting your domain with BlueHost because you get your domain for free and pay as little as $3.95 per month for your website/blog hosting. BUT, in my experience, BlueHost has some of the worst customer service. I had a couple of problems and they were basically like, oh, there’s nothing we can do about that! (Which it should have been a simple/straightforward fix.) Plus in order to get that deeply discounted monthly price you have to buy several months, if not years of hosting. Which was why I switched back to SiteGround! It’s really easy to get started with SiteGround and their speed, security and support are top notch. If I have a customer service and/or tech support issue, they have always given me clear and quick answers. They’ve even gone in and fixed certain things for me! I cannot say enough good things about them. You can choose to buy a new domain, or sign up with an existing domain. You can also get a free website transfer that’s included in the SiteGround hosting service! Unlike many other hosting providers, Siteground’s advertised discount applies to any of the initial periods chosen during the sign up process. Being able to get the low price for the one year period is awesome! Especially in comparison to other providers (ehem, BlueHost!) where the lowest monthly price applies only for the longest period of hosting purchased. Once you’ve purchased your domain and hosting with SiteGround you’ll need to install WordPress (there is a handy tutorial about that from SiteGround here.) Then you get to choose a theme for your WordPress blog. A “theme” is essentially a website/blog template that makes your site beautiful and functional. You certainly can use a free theme to get started, but there are so many beautiful themes on sites like Creative Market that you can purchase for under $100 (some are even under $30!) that will help you’re site not only be beautiful, but also stand out from the crowd. One important note about themes: If you decide to buy a theme from Creative Market (or elsewhere) just be sure that your theme is WordPress.ORG compatible, because that’s what you’re using with SiteGround and you aren’t able to return digital products in most cases. (WordPress.com is a whole different platform.) I also put a list of 50 Modern, Minimal, Feminine WordPress Blog Themes that you may want to check out. I suggest having at least 3-5 blog posts written before you actually have your blog go live. In the meantime, you can start posting things on social media about it. You can start sharing on Instagram well before the blog launches and start creating and filling up some relevant, on brand Pinterest boards, as well. Why be active on social media before the blog even launches? Well, while you’re creating those blog posts, you should have a “coming soon page” on your site, with a sign-up form for your email newsletter list. You want to start building your opt-in email list right away, because I’m pretty sure all (successful) Internet business owners will agree: the money is in your email list! Yes, you can make sales directly from your blog (it happens all the time!) But being able to connect with your audience directly via email and occasionally sell to them (say an affiliate has a big sale, or you eventually create a course or ebook you want to sell) is a powerful thing. In the beginning, you may only have a handful of subscribers, but that’s okay! Keep in contact with them on a regular basis. Weekly is best, but bi-weekly is okay, too. How do collect email addresses (legally) and send them emails each week? I use and (highly) recommend ConvertKit for your email service provider. They specifically built their email service for bloggers, and it shows! They have powerful marketing tools, but made them exceptionally easy for beginners to use. Plus, I’ve met the owner of ConvertKit, and I can tell you, he is a genuine, kind, and helpful person. I don’t know about you, but I LOVE doing business with people like that! You ‘ll likely need images (like a logo, head shot, and images for your blog posts). Aside from your head shot (which, if you have a decent smart phone and some natural light, you can take your own if you can’t yet invest in a professional photographer), you can use software like Adobe Photoshop or Adobe Illustrator to create a logo, or you can use an online program like PicMonkey. I’ll go into this a bit more in the next section, too. You can grab royalty free images from sites like Creative Market and/or completely free images from sites like Pexels. Now that your site is up and running, first of all, congratulate yourself!! 💃 🕺 🥂 💯 💫 💥 You’ve done so much hard work… Trust me, I know! I’ve launched quite a few websites over the years. There’s a big learning curve, so I’m proud of you for making it this far! The next thing you’ll want to do is start sharing your new blog with the world. If you’ve already signed up for the social media channels you enjoy and your readers (or potential readers) are using, you can and should start sharing your blog posts there. You can also send out an announcement to that email list you started earlier. You can use free stock photos from websites like Burst, Pexels, or Unslpash. But I also recommend adding text to those photos, again using programs like Adobe Photoshop or PicMonkey. If you’re not familiar with how to use these programs, I know that Adobe itself has some great tutorials for Photoshop and so does PicMonkey, so no matter which one you choose, you’ll be able to learn it in no time. One of the most powerful tools to promote my blog on Pinterest and Instagram that I use is a product called Tailwind. Tailwind makes scheduling your posts to Pinterest and Instagram SO easy! And just like with your blog itself, consistency on those platforms is absolute key. Tailwind is my “secret to success” in staying consistent in both places. I can get all of my social media scheduled out for the week for Instagram in a matter of minutes, and scheduling for a month on Pinterest takes me about an hour! Tailwind is amazing and I highly recommend it. Now that your blog is up and running, and you’re starting to see some traffic and get new email subscribers, you simply need to keep going. Create a blog post schedule you can live with. One post a week minimum is a great place to start. Two posts would be even better. But I know many of you are starting out part-time, whether that’s because you’re a stay-at-home parent or you work a 9-5, or you simply just want to work on your blog 5-15 hours a week. So choosing a schedule that works for you is vital: because the key to blogging success is sticking to it! Like I mentioned earlier, you may not see any income in your first month (or three!) with your blog, but if you give it time and follow all of these steps I’ve outlined, you’re sure to gain traction and see the success you’re hoping for. And once your traffic gets high enough, you can add ads to your blog for even more passive income! Finally, when you feel confident you can write an ebook or create a course, so you can also sell your own product(s) from your blog. SWEET! But what if you simply post once a month — or less — and barely promote your site and never write to your email list? Well, I can almost guarantee it will fail. And I don’t want that for you! And if you’ve read this far, I’m sure you truly want to succeed at blogging. And you can do it! I know this post has been long, but if you have any lingering questions, please feel free to ask them in the comments below, and I’ll be sure to get back to you ASAP. Choose a blog topic and name your blog. Get your website/blog hosting (and free domain) from SiteGround. Find a blog theme you love here or here. Sign up for affiliate programs that will help your target market and fit your blog niche. Start an email newsletter with ConvertKit and email subscribers weekly. Create a regular blogging schedule & stick to it. Learn how to promote your blog on Pinterest with Pinfinite Growth. Use Tailwind to schedule Pinterest and Instagram posts. Read a good book about blogging to keep you motivated! Want passive income from blogging? Check out this free tutorial: How to Start a Blog That Makes Passive Income! Thank you for bringing up Mediavine in your post, CB! The requirement to join Mediavine is 25k monthly sessions. We set this threshold because we believe that advertising is about finding that balance between profitability and user experience. Below 25k sessions, the ad revenue generated just isn’t worth the altered experience for the audience caused by ads. We want brand new bloggers to build up their amazing content and audience base and then come to us when they’ve got the numbers and are ready to monetize with advertising. Visit our website for help docs and blog posts on things like SEO, site speed, and other ways to grow traffic and improve your website. We’re here to answer any and all questions, so email us at publishers@mediavine.com. Thanks so much for sharing that information, Jenny! I didn’t realize that you could have ads with 25k monthly sessions. That’s awesome!